Barricade Fabrications: New Taylor Wimpey project added to Barricade Fabrications website - Cycle storage compounds & Bin storage enclosures. 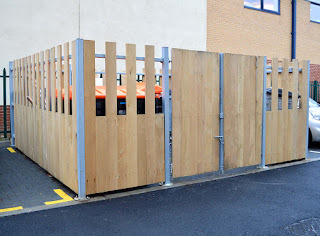 New Taylor Wimpey project added to Barricade Fabrications website - Cycle storage compounds & Bin storage enclosures. 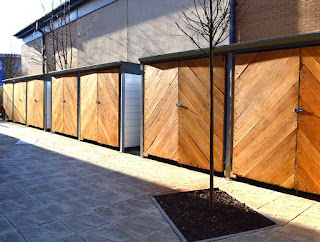 Barricade fabricated and supplied a range of bespoke bin storage compounds and Oakland cycle storage shelters to the new Altius housing development in London for Taylor Wimpey. 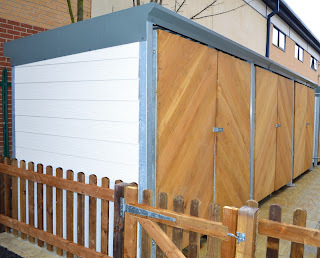 We were involved with the initial design of the storage compounds and worked closely with Taylor Wimpey to ensure an elegant, durable and high quality finished product. All products were manufactured in-house by our team of skilled fabricators. 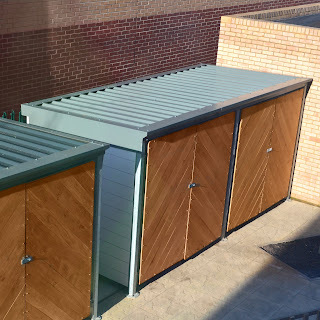 The bin storage compounds feature a 'hit and miss' design providing an attractive and unique finish for the waste storage facility. 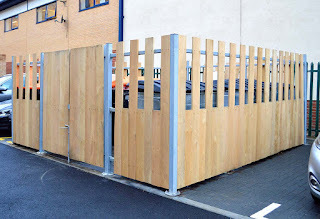 The lockable gates provide a lockable storage solution and allow for the safe and secure housing of bins and recycling units. 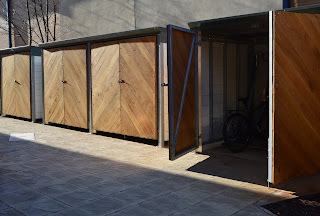 The Oakland cycle storage compound features a mild steel frame clad in Cedral Click to give a unique, durable and attractive appearance. 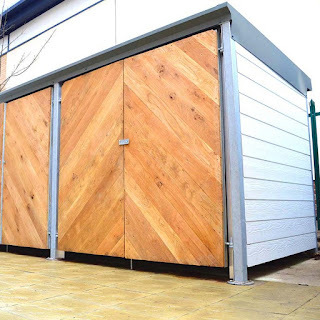 The cycle store has lockable hardwood timber clad doors to provide a high security storage solution and also a box corrugated roof to ensure a fully weatherproof enclosure. 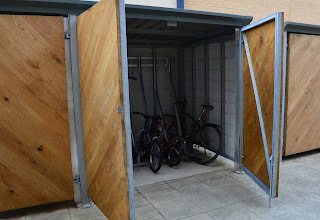 The Oakland cycle storage compound can be fitted with internal cycle stands or cycle racks. 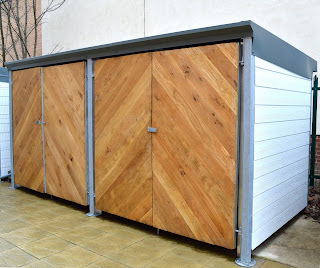 Bespoke cycle storage products are also available on request. 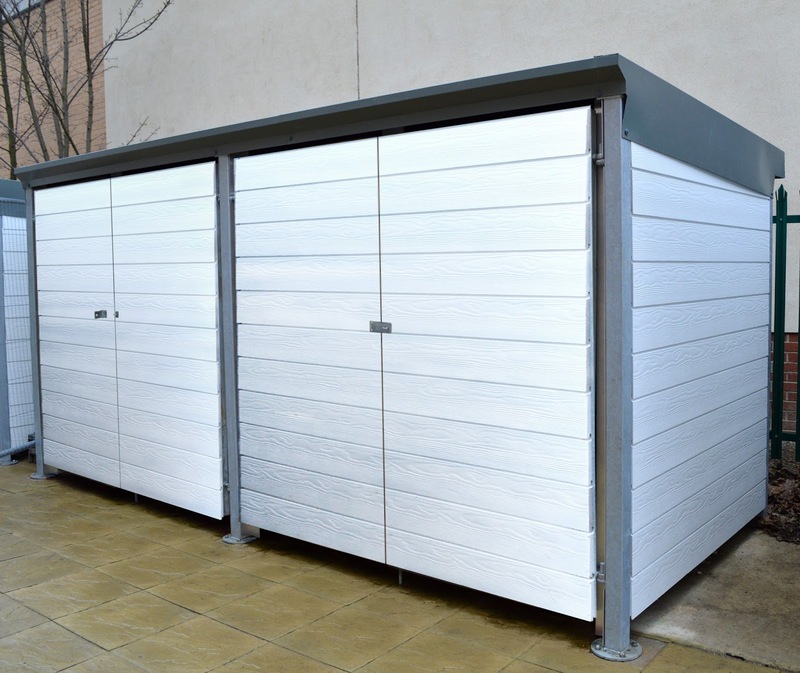 If you require a free, written quotation, or if you simply require further information on our bin storage enclosures and cycle shelters, please contact our sales office on 0845 900 2131. Alternatively you can email us: info@barricade.co.uk and we will be happy to help.